“Proposition 19” redirects here. For the 1972 proposition, see California Proposition 19 (1972). 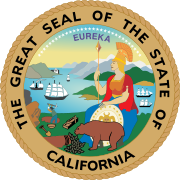 California Proposition 19 (also known as the Regulate, Control & Tax Cannabis Act) was a ballot initiative on the November 2, 2010 statewide ballot. It was defeated, with 53.5% of California voters voting “No” and 46.5% voting “Yes.” If passed, it would have legalized various marijuana-related activities, allowed local governments to regulate these activities, permitted local governments to impose and collect marijuana-related fees and taxes, and authorized various criminal and civil penalties. In March 2010, it qualified to be on the November statewide ballot. The proposition required a simple majority in order to pass, and would have taken effect the day after the election. Yes on 19 was the official advocacy group for the initiative and California Public Safety Institute: No On Proposition 19 was the official opposition group. A similar initiative, “The Tax, Regulate, and Control Cannabis Act of 2010” (California Cannabis Initiative, CCI) was filed first and received by the Attorney General’s Office July 15, 2010 assigned 09-0022 that would have legalized cannabis for adults 21 and older and included provisions to decriminalize industrial hemp, retroactive expunging of criminal records and release of non violent cannabis prisoners. A highly successful grassroots petition drive (CCI) was subsequently overwhelmed by the Taxcannabis2010 groups big budget and paid signature gatherers. Here is the LAO Summary of the Initiative that was defeated by the special interests that ultimately succeeded to put their version on the ballot as “Prop 19” with a subtly different Title: The Regulate, Control & Tax Cannabis Act. Many of the same group of special interests are supporting the 2016 Adult Use of Marijuana Act (AUMA). Supporters of Proposition 19 argued that it would help with California’s budget shortfall, would cut off a source of funding to violent drug cartels, and would redirect law enforcement resources to more dangerous crimes, while opponents claimed that it contains gaps and flaws that may have serious unintended consequences on public safety, workplaces, and federal funding. However, even if the proposition had passed, the sale of cannabis would have remained illegal under federal law via the Controlled Substances Act. Proposition 19 was followed up by the Adult Use of Marijuana Act in 2016. According to the State of California’s Legislative Analyst’s Office, the law would have had the following effects. possess up to 28.5 grams (1 oz) of cannabis for personal consumption. a public establishment licensed for on site cannabis consumption. grow cannabis at a private residence in a space of up to 25 square feet (2.3 m2) for personal use. Authorize the retail sale of up to 28.5 grams of cannabis per transaction to persons 21 and older. Regulate the location, size, hours of operation, and signs and displays of the establishments authorized to make these sales. commercial cultivation, transportation, and sale. Allows for the transportation of cannabis from a licensed premises in one city or county to a licensed premises in another city or county, without regard to local laws of intermediate localities to the contrary. Allows the collection of taxes to allow local governments to raise revenue or to offset any costs associated with cannabis regulation. Maintains existing laws against selling drugs to a minor and driving under the influence. Maintains an employer’s right to address consumption of cannabis that affects an employee’s job performance. Maintains existing laws against interstate or international transportation of cannabis. Every person 18 years of age or older who hires, employs, or uses a minor in transporting, carrying, selling, giving away cannabis, or knowingly sells or gives away cannabis to someone under the age of 14, shall be imprisoned in state prison for a period of three, five, or seven years. Every person 18 years of age or older who knowingly sells or gives away cannabis to someone older than the age of 14 but younger than 18, shall be imprisoned in the state prison for a period of three, four, or five years. Every person 21 years of age or older who knowingly sells or gives away cannabis to someone older than the age of 18 but younger than 21, shall be imprisoned in county jail for up to six months and fined up to $1,000 per offense. Any person who is licensed, permitted, or authorized to sell cannabis, who knowingly sells or gives away cannabis to someone under the age of 21, will be banned from owning, operating, or being employed by a licensed cannabis establishment for one year. The State Board of Equalization estimated that imposing a $50 per ounce levy on cannabis sales could generate $1.4 billion a year in new tax revenue, thus generating a large amount of revenue at a time when the state was experiencing financial pressure. This estimate came from the BOE’s 2009 analysis of California Assembly Bill 390 based on a 2006 report entitled “Marijuana Production in the United States.” These statistics were based on production estimates derived from marijuana eradication efforts from 2003 to 2005. Significant savings to state and local governments; potentially up to several tens of millions of dollars annually due to reduction of individuals incarcerated, on probation, or on parole. Freeing up cells used to house marijuana offenders, which could be then used for other criminals, many of whom obtained early release because of a lack of jail space. Major reduction in state and local costs for enforcement of marijuana-related offenses and the handling of related criminal cases in the court system, providing the opportunity for funds to be used to enforce other existing criminal laws. Potential increase in the costs of substance abuse programs due to a projected increase in marijuana usage, possibly resulting in reduced spending on mandatory treatment for some criminal offenders, or in the redirection of these funds for other offenders. Potential reduction in both the costs and offsetting revenues of the state’s medical marijuana program, as some adults over 21 would be less likely to participate in existing programs if obtaining marijuana were made less difficult. Providing the opportunity for significant additional tax revenue stream from businesses engaged in marijuana-related commerce. Reduction in fine collection under state law but a potential increase in local civil fines authorized by existing local laws (the cumulative effect on fines was indicated to be largely unknown). In regard to potential savings from the reduction of incarcerated individuals, according to the California Department of Corrections and Rehabilitations, 1,639 state prison inmates were in prison for marijuana-related crimes at a cost of $85 million per year. Several arguments were used in support of passing Proposition 19. Supporters argued that legalizing marijuana in California would help alleviate the drug war in Mexico. Based on the theory espoused by the White House Office of National Drug Control Policy that up to 60% of Mexican drug cartels’ profits come from sales of marijuana, legalizing the drug in nearby California would drastically cut their funding. As a result, supporters of this argument believed that legalization would lead to a decrease in drug-related violent crime in Mexico. Also cited were expected financial benefits of passing the measure. Economists lauded an analysis by Jeffrey Miron predicting $7.7 billion in projected savings on law enforcement expenses related to marijuana offenses, as well as expected revenues of up to $6.2 billion annually in taxes. These revenues were calculated based on marijuana sales taxes structured similarly to alcohol and cigarettes. In 2008, California police made 78,500 arrests related to marijuana. Some civil rights groups lauded Proposition 19 as a way to reduce the disproportionate number of arrests of African-Americans and Latinos in California, many of which were related to marijuana possession. A study released by the New York-based Drug Policy Alliance found that despite having lower marijuana consumption rates than young whites, young Latinos and African Americans were arrested for marijuana possession at much higher rates than whites in the 25 largest California counties. Supporters also argued that passing the measure would result in additional benefits including tourism and spinoff industries such as cafes and paraphernalia. Based on California’s wine industry, proponents of this theory anticipated that legalizing marijuana in the state could generate up to $18 billion, including the creation of 60,000-110,000 jobs. Some argued that legalization of marijuana could reduce drug-related violence, based on a study conducted by the International Centre for Science in Drug Policy. This study found that drug law enforcement contributes to increased levels of drug-related violence and suggests that “alternative models for drug control” may be necessary. Opponents of Prop 19 argued that legalizing marijuana in California using the current proposition would have numerous negative consequences. They cited current Federal laws banning the cultivation, sale, and use of the drug, and claimed that it would create complications with drug trafficking and arrests as well as challenge Federal authority. Opponents also argued that Proposition 19 would complicate regulation across the state by allowing local jurisdictions the power to determine their own laws regarding cultivation and possession. Opponents claimed that this increased government activity would absorb much of the projected tax revenue. Opponents of the measure also argued that it posed a public safety risk, based on research showing an association between marijuana use and voluntary treatment admissions for addiction, fatal drugged driving accidents, mental illness, and emergency room visits. Opponents also compared Prop 19 to current alcohol and tobacco regulation, arguing that the associated potential healthcare and criminal justice costs outweigh the tax revenue generated. In response to supporters’ claims regarding Prop 19’s tax revenue generation, opponents claim the potential benefit is vastly overstated. Opponents also criticized the measure for failing to include specific accompanying tax proposals. Opponents also rejected the argument that revenue increases from the measure would improve the state budgetary deficit, dismissing it as a short-term fix. Since California essentially decriminalized the possession of marijuana in 1976, opponents reject the idea that legalization would free law enforcement to pursue violent crime in lieu of marijuana-related crime. A Rand Corporation study found that passage of the measure would likely do little to curtail the drug trade and cartel violence stemming from Latin America. Opponents also argued that passage would reflect softening attitudes in America toward drug consumption. Supporters of medicinal marijuana use expressed concern that Prop 19 could burden growers with increased regulations. Also cited were potential confusion caused by double selling rules and a potential threat to existing protections for medical marijuana users. The first cannabis prohibition laws in California were passed in 1913. In the 1972 California November elections, a similar initiative to Proposition 19 which would have legalized cannabis was on the ballot, coincidentally also named Proposition 19. It failed to pass, with 66.5% voters voting “No” and 33.5% voting “Yes.” In 1976 the passage of the Moscone Act changed small-scale possession of marijuana from a felony to a misdemeanor. Two decades later in 1996, Proposition 215, which legalized medical marijuana, passed with 56% of the vote. In 2003 the California Senate Bill SB 420 clarified some of Proposition 215 to address critics and issues that arose since it was passed. In 2005, Oakland’s Measure Z, one of the first marijuana taxes, made marijuana possession one of the lowest law enforcement priorities. It was passed by 65% of the voters. In July 2010, Oakland approved a cultivation ordinance. Proposition 19’s originator is Richard Lee, a marijuana legalization activist and medical marijuana provider based in Oakland. Lee named political consultant Chris Lehane as the head of the campaign to pass the measure. In order to qualify for the ballot, the initiative needed 433,971 valid petition signatures. The initiative proponents submitted 694,248 signatures, and it qualified through the random sample signature check. In response to growing demand for a vote on the legal status of marijuana, California governor Arnold Schwarzenegger said in May 2009, “I think it’s time for a debate. And I think that we ought to study very carefully what other countries are doing that have legalized marijuana and other drugs, what effect it had on those countries, and are they happy with that decision.” However, in his signing statement for California SB 1449, which decriminalized possession of less than an ounce of marijuana from a misdemeanor to an infraction, Schwarzenegger said he opposed Proposition 19, calling it “deeply flawed” and claiming that its potential for generating tax revenue has been overstated. Bishop, Dr. Ron Allen California. Founder/President/CEO International Faith Based Coalition. Color indicates the simple majority in a poll. Analysis of different polling techniques showed significant differentials in support for Proposition 19. Polls conducted by a live interviewer showed substantially less support for Proposition 19 than automated polls. It was suggested that there was a “social desirability bias” causing people to deny their support for Proposition 19 to live interviewers. Another discrepancy was noted in the Action News/SurveyUSA poll taken in late October. Those interviewed via landlines opposed the initiative 53% to 43%, while those on cell phones supported it 54% to 29%. ^ “Supplement to the Statement of Vote Statewide Summary by County for State Ballot Measures” (PDF). Secretary of State’s office. January 6, 2011. Archived from the original (PDF) on 2012-10-05. Retrieved September 2, 2011. ^ “State of California Initiative analysis”. Lao.ca.gov. September 9, 2009. Retrieved October 5, 2010. ^ “California Constitution Article 2 Section 10”. Archived from the original on October 8, 2010. Retrieved October 5, 2010. ^ “Proposition 19 – Official Voter Information Guide”. Archived from the original on 2010-10-13. Retrieved October 16, 2010. ^ “YesOn19.com”. yeson19.com. Archived from the original on 2010-08-28. Retrieved October 5, 2010. ^ Liebman Dershowitz, Hanna (July 28, 2010). “A federal-state law inconsistency shouldn’t stop Californians from legalizing marijuana”. Los Angeles Times. Tribune Company. Retrieved August 21, 2010. ^ “California, Rejoice! AUMA Is Getting A Vote! | Potbox”. 2016-06-29. Archived from the original on 2016-08-16. Retrieved 2016-07-12. ^ “State of California 2009 Initiative Analysis”. Lao.ca.gov. September 9, 2009. Retrieved October 5, 2010. ^ “California Democrats neutral on Proposition 19”. Mercury News. July 19, 2009. Retrieved July 22, 2010. ^ Vekshin, Alison (November 1, 2010). “California Looks for Cash Under Proposal to Legalize Marijuana”. Bloomberg News. Retrieved November 1, 2010. ^ Jon Gettman (December 2006). “Marijuana Production in the United States” (PDF). ^ “Summary of the States Legislative Analyst”. Lao.ca.gov. September 9, 2009. Retrieved October 5, 2010. ^ David Futch (October 2010). “Proposition 19 Dreams of Legal Weed”. LA Weekly News. ^ Héctor Aguilar Camín; Jorge G. Castañeda (September 2010). “California’s Prop 19, on legalizing marijuana, could end Mexico’s drug war”. The Washington Post. ^ Quentin Hardy (June 2005). “Milton Friedman: Legalize it!”. Forbes.com. ^ McKinley, Jesse (October 27, 2009). “Push to Legalize Marijuana Gains Ground in California”. The New York Times. The New York Times Company. ^ Subha Ravindhran (October 2010). “California Blacks Split over Marijuana Measure”. ABC Local. ^ Jesse McKinley (July 2010). “California Blacks Split over Marijuana Measure”. NY Times. ^ Dale Gieringer (October 2009). “Marijuana Legalization Could Yield California Taxpayers Over $1.2 Billion per Year”. ^ Dan Werb; Greg Rowell; Gordon Guyatt; Thomas Kerr; Julio Montaner; Evan Wood (2010). “Effect of Drug Law Enforcement on Drug-Related Violence: Evidence from a Scientific Review” (PDF). Archived from the original (PDF) on 2015-01-01. Retrieved 2011-04-12. ^ Surojit Chatterjee (October 2010). “US AG Eric Holder strongly opposes Prop 19”. International Business Times. Archived from the original on 2010-11-06. Retrieved 2011-03-09. ^ Marcus Wohlsen (October 2010). “Feds oppose Calif. Prop 19 to legalize marijuana”. USA Today. ^ a b Editorial (September 2010). “Snuff out pot measure”. LA Times. ^ a b Ray Sanchez (November 2010). “California’s Proposition 19 Rejected by Voters”. ABC News. ^ Gil Kerlikowske; John Walters; Barry McCaffrey; Lee Brown; Bob Martinez; William Bennett (November 2010). “Why California should just say no to Prop. 19”. LA Times. ^ a b Editorial (September 2010). “Endorsements: Prop. 19 deserves to go up in smoke”. The Sacramento Bee. Archived from the original on 2010-10-15. Retrieved 2010-10-15. Editorial Board (October 2010). “Prop 19 About Marijuana Industry, Not Use”. The Stanford Review. Archived from the original on 2011-02-13. Retrieved 2011-03-09. ^ Beau Kilmer; Jonathan P. Caulkins; Brittany M. Bond; Peter H. Reuter (2010). “Reducing Drug Trafficking Revenues and Violence in Mexico: Would Legalizing Marijuana in California Help?”. The Rand Corporation. ^ Sara Miller Llana (October 2010). “Latin America’s leaders condemn California’s Prop. 19 to legalize marijuana”. The Christian Science Monitor. ^ David Crary (September 2010). “Top ballot item: bid to legalize pot in California”. The Boston Globe. ^ Peter Hecht (August 2010). “Medical Pot Industry split on Prop. 19”. The Sacramento Bee. Archived from the original on 2010-08-28. Retrieved 2011-03-09. ^ Maureen Cavanaugh; Pat Finn (October 7, 2010). “The Odd History Of Marijuana In The U.S.” PBS. Retrieved October 26, 2011. ^ Maddaus, Gene (June 28, 2010). “Pot Legalization Initiative Has Same Number as One From 1972”. Blogs.laweekly.com. Archived from the original on 2010-08-13. Retrieved July 28, 2010. ^ M. R. Aldrich; T. Mikuriya (1988). “Savings in California Marijuana Law Enforcement Costs Attributable to the Moscone Act of 1976: A Summary”. National Criminal Justice Reference Service. Retrieved October 26, 2011. ^ Evan Wagstaff (October 2010). “Marijuana in California Over the Decades”. Oakland North. ^ Hoeffel, John (March 25, 2010). “Measure to legalize marijuana will be on California’s Los Angeles Times“. Tribune Company. Retrieved April 24, 2010. ^ “DB07:003” (PDF). Archived from the original (PDF) on 2010-06-17. Retrieved July 28, 2010. ^ Grim, Ryan (May 5, 2009). “Arnold: Time To Talk About Legalizing Pot”. The Huffington Post. Retrieved July 14, 2010. ^ Schwarzenegger, Arnold. “To the Members of the California State Senate”. Archived from the original on 2011-02-01. Retrieved 2013-08-14. ^ a b c Hinyub, Chris (October 9, 2010). “Free & Equal allows California’s third party gubernatorial candidates to share their views”. Independent Voter Network. Retrieved October 25, 2010. ^ Jesse Ventura- prop 19-“I hope California does it. Retrieved November 3, 2010. ^ McKinley, Jesse (July 19, 2010). “Blacks May Tilt Balance in Vote to Legalize Marijuana”. The New York Times. Retrieved July 19, 2010. ^ a b c d Grim, Ryan (July 8, 2010). “California Dems Endorse Pot Legalization, Proposition 19”. Huffington Post. Retrieved July 8, 2010. ^ West, Jackson (July 20, 2010). “Surprise! Both Red and Blue Want Pot Legal”. NBC Bay Area. Retrieved July 21, 2010. ^ a b c d e f g h i j k l m n o p q r s t u v w x y z aa ab ac ad ae af ag ah ai aj ak al am an ao “Endorsements”. Archived from the original on 2010-11-08. Retrieved October 20, 2010. ^ Buchanan, Wyatt (February 24, 2010). “Ammiano wants to make marijuana legal in state”. San Francisco Gate. Retrieved April 24, 2010. ^ “Taking the next step for California”. New Times. June 30, 2010. ^ Johnson, Tim (October 27, 2010). “Ex-Mexican president urges California to legalize pot”. Miami Herald. Retrieved October 28, 2010. ^ Camin, Hector (September 5, 2010). “California’s Prop 19, on legalizing marijuana, could end Mexico’s drug war”. The Washington Post. Retrieved September 6, 2010. ^ Hoeffel, John (March 25, 2010). “Measure to legalize marijuana will be on California’s November ballot”. Los Angeles Times. Retrieved April 29, 2010. ^ Russo, John (April 27, 2010). “Open Forum: Legalize Marijuana in California”. San Francisco Gate. Retrieved April 27, 2010. ^ Stamper, Norm (April 20, 2010). “420: Put Down That Joint and Pick Up a Pen”. Firedoglake.com. Retrieved April 20, 2010. ^ “Arguments for and against the proposal, Official California voters guide” (PDF). Secretary of State’s Office. Archived from the original (PDF) on 2010-10-06. Retrieved 2010-09-16. ^ Bedard, Larry (July 15, 2010). “Opinion: Decriminalize marijuana: It’s far less harmful than alcohol”. MercuryNews.com. Retrieved July 18, 2010. ^ Soros, George (October 26, 2010). “George Soros: Why I Support Legal Marijuana”. Wall Street Journal. Retrieved October 25, 2010. ^ Fagan, Kevin (October 26, 2010). “George Soros gives $1 million to Prop. 19 campaign”. The San Francisco Chronicle. Retrieved October 26, 2010. ^ “Facebook co-founder gives $100K to pot legalization campaign”. Toronto Sun. October 10, 2010. ^ “The quest for freedom and safety: Why I donated $100,000 to YesOn19”. October 29, 2010. ^ Hoeffel, John (October 16, 2010). “Retired insurance company executive throws cash and support behind Prop. 19”. Los Angeles Times. Retrieved October 17, 2010. ^ Downs, David (July 17, 2010). “Sarah Palin Calls Bud a ‘Minimal Problem’; Vegas Drug Cops Execute Unarmed Father”. East Bay Express. ^ Emery, Marc (June 5, 2010). “Why You Should Vote YES on PROPOSITION 19”. Cannabis Culture. Retrieved July 26, 2010. ^ Saillant, Catherine (June 28, 2010). “State NAACP backs marijuana legalization initiative”. Los Angeles Times. Retrieved June 28, 2010. ^ Romero, Dennis (October 8, 2010). “‘LULAC,’ Huge Latino Group, Endorses Prop. 19, California’s Marijuana Legalization Initiative”. LA Weekly. Archived from the original on 2010-10-12. Retrieved October 10, 2010. ^ Garofoli, Joe (May 19, 2010). “Up with dope! Oakland City Council first in CA to endorse pot legalization measure”. The San Francisco Chronicle. Retrieved May 28, 2010. ^ Tam, Donnna (October 20, 2010). “Humboldt County supervisors decide to support Prop. 19”. Times-Standard. Archived from the original on October 23, 2010. Retrieved October 23, 2010. ^ St. Pierre, Allen (June 30, 2010). “Prop 19: Support Legalizing Marijuana In California”. NORML. Retrieved October 24, 2010. ^ CA NORML Admin (January 28, 2010). “Tax Cannabis 2010 Initiative Headed for November Ballot”. California NORML. Retrieved June 1, 2010. ^ Good, Chris (April 2, 2010). “The Push to Legalize Marijuana: It’s Real”. The Atlantic. Atlantic Media Company. Retrieved April 16, 2010. ^ Smith, F. Aaron (March 24, 2010). “Marijuana Reform Will Appear on California’s November Ballot!”. MPP Blog. Marijuana Policy Project. Retrieved April 29, 2010. ^ “Tell the California Democratic Party:Endorse Prop 19!”. California Courage Campaign. July 18, 2010. Archived from the original on 2010-09-20. Retrieved October 31, 2010. ^ Cole, Jack. “LEAP Endorses “Tax & Regulate Cannabis 2010““. Youtube.com. Retrieved June 4, 2010. ^ Hoeffel, John (October 7, 2010). “Marijuana legalization proposition pulling in high-dollar donations”. Los Angeles Times. Retrieved October 19, 2010. ^ Rush, George (April 11, 2010). “Head of American Federation of Teachers Randi Weingarten supports legalizing pot”. New York Daily News. Retrieved April 11, 2010. ^ LEAP (August 19, 2010). “National Black Police Association Endorses Marijuana Legalization”. Law Enforcement Against Prohibition. Retrieved August 19, 2010. ^ Hoeffel, John (October 27, 2010). “Prop. 19 backers cite higher marijuana arrest rates for Latinos”. LA Times. Retrieved October 28, 2010. ^ Hoeffel, John (July 15, 2010). “Big union supports California measure to legalize marijuana”. Los Angeles Times. Retrieved July 15, 2010. ^ Rosen, Michael (June 28, 2010). “Oakland stirs the pot on legalization”. San Diego News Room. Archived from the original on October 4, 2010. Retrieved July 18, 2010. ^ Garofoli, Joe (August 18, 2010). “Bay area longshore workers want to legalize pot”. San Francisco Chronicle. ^ Nagourney, Adam (September 13, 2010). “Marijuana Ballot Measure in California Wins Support of Union, Officials Say”. The New York Times. Retrieved September 15, 2010. ^ “California enjoys reefer madness”. Toronto: The Globe and Mail. October 28, 2010. Retrieved October 29, 2010. ^ “Editorials : Our Opinion : Yes on Prop. 19”. Santa Barbara News-Press. October 8, 2010. ^ “L.A. County Democratic Party – Endorsements”. Los Angeles County Democratic Party. September 15, 2010. ^ Molina, Joshua (September 4, 2010). “Santa Barbara Democrats endorse jail tax, oppose marijuana dispensary ban”. The Daily Sound. Archived from the original on September 7, 2010. Retrieved September 16, 2010. ^ “SF Dems Give Key Endorsement to Prop 19”. East Bay Express. August 12, 2010. ^ “San Luis Obispo County Democratic Party Election 2010 Endorsements”. San Luis Obispo County Democratic Party. Archived from the original on 2010-10-18. Retrieved November 2, 2010. ^ “Ventura County Democratic Central Committee Democratic Party Politics Candidates Party Issues”. Archived from the original on 2010-10-25. Retrieved October 26, 2010. ^ Eskenazi, Joe (July 20, 2010). “Marijuana-Legalizing Proposition 19 Gets Greenlight From California Young Democrats”. San Francisco Weekly. Retrieved July 21, 2010. ^ Campbell, Dave (2010-10-11). “The Peace and Freedom Party Says: “Legalize It““. Peace and Freedom Party. Archived from the original on 2013-04-05. Retrieved 2013-03-28. ^ Hinkle, Mark (July 3, 2010). “California Prop 19: legalized pot coming to the California ballot in November”. United States Libertarian Party. Retrieved June 20, 2010. ^ McGreevy, Patrick (October 1, 2010). “Los Angeles Times: Local : Political “Schwarzenegger signs bill reducing offense for marijuana possession.““. Los Angeles Times. ^ Marinucci, Carla (May 6, 2009). “SFGate: Politics Blog : Whitman: “Prosecute illegal aliens..in all of our cities.““. The San Francisco Chronicle. ^ “AG: Legal Pot Opens Flood Gates For Cartels”. Ksbw.com. June 29, 2010. Retrieved July 28, 2010. ^ “Feinstein backs effort to defeat marijuana legalization”. Los Angeles Times. July 12, 2010. ^ “Carly Fiorina Announces Positions on Statewide Ballot Measures”. ABC News(KFSN). September 3, 2010. Retrieved September 19, 2010. ^ Ellis, John (July 30, 2010). “If California Legalizes Marijuana, Not Clear What Obama Would Do”. Sacramento Bee. Archived from the original on 2010-08-10. Retrieved 2010-08-28. ^ a b “No on Prop 19 Endorsements”. No on Proposition 19 website. Archived from the original on 2010-07-27. Retrieved July 25, 2010. ^ Roberts, Chris (July 15, 2010). “Newsom, Harris Support Medical Cannabis, Hate Legalization”. SF Appeal. Retrieved October 2, 2010. ^ Chaussee, Jennifer (July 22, 2010). “Leading Democrats opposed to Prop. 19”. Capitol Weekly. Archived from the original on 2011-04-12. Retrieved July 22, 2010. ^ Romero, Dennis (July 15, 2010). “Marijuana Legalization: L.A. District Attorney Steve Cooley Helps Pen Official Argument Against Prop. 19”. L.A. Weekly. Archived from the original on 2010-07-19. Retrieved July 18, 2010. ^ a b “No on Prop 19 Endorsements”. No on Proposition 19 website. Archived from the original on 2010-07-27. Retrieved July 26, 2010. ^ Nagourney, Adam (October 15, 2010). “On Marijuana, Californians May Ignore Leaders’ Views”. New York Times. Retrieved October 15, 2010. ^ Garofoli, Joe (July 26, 2010). “A first: Bakersfield Dem puts up $20K for radio ad opposing pot legalization”. San Francisco Chronicle. Retrieved July 27, 2010. ^ Roberts, Chris (May 19, 2010). “Bad Medicine, Why Marijuana Advocates oppose an initiative legalizing marijuana”. S.F. Weekly. ^ Miller, Louis (July 11, 2010). “Opinion: Backers of legal pot just want to get high”. San Jose Mercury News. Retrieved July 17, 2010. ^ Fudge, Tom (October 27, 2010). “Will Prop. 19 Cause You To Drive While Stoned?”. KPBS. Retrieved April 18, 2011. ^ Romero, Dennis (August 9, 2010). “Conservative Group Launches Ad Campaign Against Prop. 19, California’s Pot-Legalization Initiative”. L.A. Weekly. Archived from the original on 2012-07-08. Retrieved September 17, 2010. ^ Romero, Dennis (September 8, 2010). “Black Police Association Gives Thumbs Down To California Pot Legalization Initiative”. LA Weekly. Retrieved October 28, 2010. ^ Wohlson, Marcus (August 12, 2010). “Calif Chamber: Pot Law Would Allow Smoking at Work”. AP. Retrieved October 9, 2010. ^ “Proposition 19” (PDF). League of California Cities. Archived from the original (PDF) on 2011-07-26. Retrieved 2010-10-23. ^ McIntosh, Paul (September 21, 2010). “CSAC Board: Thumbs Down to Propositions 19 and 26”. Csac.counties.org. Archived from the original on 2010-10-08. Retrieved October 5, 2010. ^ Risling, Greg (April 20, 2010). “Poll Finds Most Americans Oppose Legalizing Marijuana”. CNSNews. Archived from the original on 2010-05-02. Retrieved April 24, 2010. ^ “Use of Marijuana as a “Medicine““. Cybercast News Service. California Narcotics Officers Association. Retrieved April 24, 2010. ^ a b Hecht, Peter (April 22, 2010). “Sacramento consultant leads campaign against pot legalization”. The Sacramento Bee. Archived from the original on 2010-04-27. Retrieved April 24, 2010. ^ Hecht, Peter. “Weed Wars: Unions see opportunities in marijuana industry, ballot measure”. The Sacramento Bee. Archived from the original on 2010-06-21. Retrieved July 28, 2010. ^ “Ballot Initiatives Talking Points”. Association of California School Administrators. Archived from the original on 2011-07-24. Retrieved 2010-10-03. ^ Jones, Ron (September 15, 2010). “Alcohol Trade Comes Out Against Legal Marijuana”. CBS 13. Archived from the original on 2010-09-19. Retrieved 2010-09-17. ^ J. Patrick Coolican (September 22, 2010). “California Cannabis Association Is Against Proposition 19 Pot Legalization? Really? Yes”. LA Weekly. Archived from the original on 2010-09-25. Retrieved October 5, 2010. ^ “Bishop Ron Allen, President and CEO of the International Faith Based Coalition (IFBC) Welcomes Reverend Anthony Evans of the National Black Church Initiative as they join forces Against Proposition 19 and NAACP California Chapter President Alice Huffman for Her Support of Proposition 19” (PDF) (Press release). International Faith Based Coalition. July 15, 2010. Retrieved November 2, 2010. ^ “CADCA Releases Position Paper and Press Release Opposing Proposition 19” (Press release). Community Anti-Drug Coalitions of America. September 16, 2010. ^ Stimson, Charles (September 13, 2010). “Legalizing Marijuana: Why Citizens Should Just Say No”. The Heritage Foundation. Retrieved October 25, 2010. ^ “Proposition 19: Vote no”. San Francisco Chronicle. September 16, 2010. ^ “Endorsements: Prop. 19 deserves to go up in smoke”. Sacramento Bee. September 19, 2010. Archived from the original on 2010-10-15. Retrieved 2010-10-15. ^ “Snuff out pot measure”. Los Angeles Times. September 24, 2010. ^ “Mercury News editorial: No on Proposition 19: legalizing marijuana’s inevitable, but this is the wrong way”. San Jose Mercury News. October 13, 2010. ^ “No to ganja madness”. San Diego Union-Tribune. October 18, 2010. ^ “SurveyUSA News Poll #16468”. April 20, 2010. Retrieved July 17, 2010. ^ “PPIC Statewide Survey: Californians and Their Government” (PDF). May 19, 2010. Retrieved July 12, 2010. ^ “Release #2342” (PDF). July 9, 2010. Archived from the original (PDF) on 2010-10-20. Retrieved July 12, 2010. ^ “SurveyUSA Election Poll #16804”. July 12, 2010. Retrieved July 12, 2010. ^ “Public Policy Polling” (PDF). July 26, 2010. Retrieved July 26, 2010. ^ “Results of SurveyUSA Election Poll #16937” (PDF). August 12, 2010. Retrieved August 13, 2010. ^ “Results of SurveyUSA Election Poll #17035”. September 2, 2010. Retrieved September 3, 2010. ^ “Marijuana in the California Election #17035”. September 20, 2010. Retrieved September 22, 2010. ^ “Field Poll” (PDF). September 26, 2010. Archived from the original (PDF) on 2010-10-20. Retrieved September 26, 2010. ^ “Public Policy Polling” (PDF). September 30, 2010. Retrieved September 30, 2010. ^ “Results of SurveyUSA Election Poll #17225”. October 4, 2010. Retrieved October 4, 2010. ^ “Political Polling in California: Wave 2”. October 6, 2010. Archived from the original on 2011-06-29. Retrieved October 6, 2010. ^ a b c “EMC Research poll 10-4366” (PDF). October 22, 2010. Archived from the original (PDF) on 2011-02-25. Retrieved October 22, 2010. ^ “Public Policy Institute of California #17421”. Los Angeles Times. October 19, 2010. Retrieved October 20, 2010. ^ “SurveyUSA Election Poll #17421”. October 19, 2010. Retrieved October 20, 2010. ^ “Prop. 19 trailing badly, poll shows”. October 22, 2010. Archived from the original on October 24, 2010. Retrieved October 22, 2010. ^ “Public Policy Polling” (PDF). October 26, 2010. Retrieved October 26, 2010. ^ “Suffolk Poll of California”. October 26, 2010. Retrieved October 27, 2010. ^ “SurveyUSA Election Poll #17543”. October 26, 2010. Retrieved October 27, 2010. ^ “Preferences of voter subgroups regarding Proposition 19, the marijuana legalization initiative (among likely voters)” (PDF). October 31, 2010. ^ “CNN/TIME Opinion Research Poll” (PDF). October 27, 2010. Retrieved October 28, 2010. ^ “SurveyUSA Election Poll #17597”. November 1, 2010. Retrieved November 1, 2010. ^ “Public Policy Polling Release” (PDF). October 31, 2010. Retrieved October 31, 2010. ^ “The Broadus Effect – Social Desirability Bias and California Proposition 19”. July 26, 2010. Retrieved October 21, 2010. ^ “Action News – SurveyUSA Election Poll”. November 1, 2010. Retrieved November 1, 2010. ^ “State Ballot Measures – Statewide Results”. California Secretary of State’s office. November 23, 2010. Archived from the original on November 6, 2010. Retrieved November 23, 2010. ^ “Proposition 19 Map Election Results”. California Secretary of State. November 23, 2010. Archived from the original on November 6, 2010. Retrieved November 23, 2010.